An air purifier is perfect for keeping the air in your home clean and allergen free, whilst dramatically improving the air quality in the spaces that you spend the most time in. Within our range, you will find a whole host of Homedics air purifiers that are perfectly equipped to remove up to 99% of airborne irritants including bacteria, pollen, smoke and dust. Helping you to breathe easier, a Homedic air purifier is sure to become a welcome addition to your home, especially if you suffer from allergies. 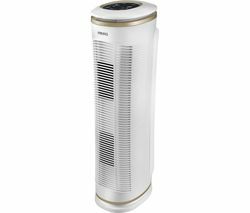 Within the range there’s a huge variety of performance focused air purifiers to choose from, including the Homedics AR-29 HEPA Tower Air Purifier, the Homedics AR-20-GB Air Purifier, the Homedics AR-1FLA-EU Air Purifying Filter and the Homedics AR-10A-GB Air Purifier. The product that is right for you will depend on your individual requirements. 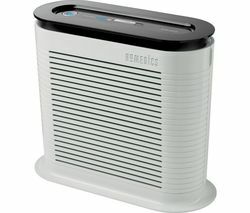 One of the most popular products in this range is the Homedics AR-20-GB Air Purifier. Perfect for keeping your home free from irritants and allergens, this air purifier works with a rapid 72 m²/hr filtration rate (based on a 2.5 m room height) to remove up to 99% of airborne nasties. Ideal for use in a wide variety of living spaces including the bedroom, living room and dining areas, this Homedic air purifier is also helps to tackle complications associated with pet allergens. If you can’t find what you are looking for, don’t worry, we also offer lots of other high performance dehumidifiers that will instantly optimise the air quality of your home and the spaces that you spend the most time in. See all dehumidifiers today. If you’re looking for an air cooling solution for your home, you can view our range of Dyson fans, which are suitable for use in both residential and commercial environments.